Gren Thomas is following in the footsteps of prospectors who chased gold in southwestern British Columbia 150 years ago. Before Barkerville, before the Klondike Gold Rush, coarse placer gold was discovered in B.C.’s Nicomen River in 1857. A year later, 20,000 prospectors were on the scene dredging and sluicing in the Fraser River and a host of other southwestern B.C. waterways. They quickly moved on to Barkerville, and later, trekked north to the Yukon. In the meantime, the region surrounding that initial discovery -- the Spences Bridge gold belt -- has seen little exploration. That epithermal gold belt is the focus of two exploration projects owned by Westhaven Ventures (WHN-V), where Thomas is president and CEO. Westhaven is the largest claims holder in the belt with 28,000 hectares. Thomas is best known for discovering the Diavik diamond mine -- through his Aber Resources in the early 1990s -- and he still has a hand in diamond exploration as chairman of North Arrow Minerals. But it was gold that I wanted to talk to Thomas about, and plans for Westhaven’s projects: Shovelnose and Prospect Valley. 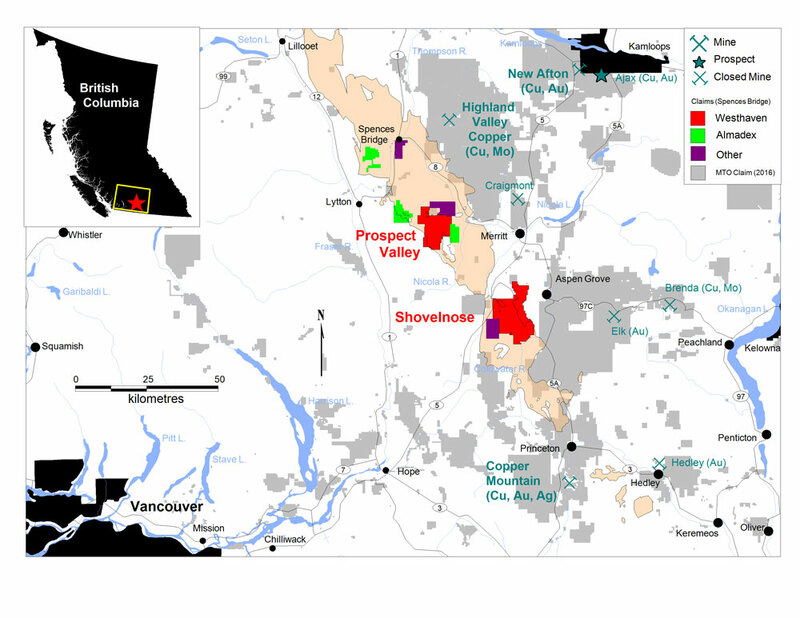 Thomas said Westhaven plans to drill about 1,500 metres of prospective targets at its Shovelnose property -- acquired from Strongbow Exploration (SBW-V) -- starting in about two weeks. Strongbow did some drilling in the mid-2000s. The work was part of the first modern gold exploration of the belt, which had been initiated by Almaden and Ed Balon shortly before. The company drilled 20.2 g/t gold over 12.8 metres at the nearby Skoonka project (Strongbow/Almadex) in 2005 and lots of lower-grade near-surface intercepts, but the area hasn’t seen much activity since. Cash is still tight -- Westhaven only has about $80,000 in the treasury. A financing is planned to fund a more extensive drill program at Westhaven’s new Prospect Valley (PV) property west of Merritt. In the meantime, Thomas has been buying lots of stock in the market -- about $200,000 worth in the past 3 months. He’s also basically been keeping the company afloat through the lean years through loans. 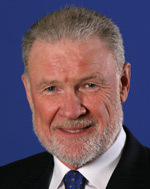 He owns about 32% of outstanding shares directly and through Anglo Celtic Exploration, his family fund. His Westhaven stake is now larger than his North Arrow holdings. Westhaven optioned 70% of the 10,871-hectare PV property last year from Berkwood Resources, a struggling junior, and picked up the rest in February. The company is doing more groundwork -- including sampling, geochem and mapping -- in order to refine PV drill targets, Thomas says. A drill program of about 5,000 metres is planned for late summer. Thomas’s son Gareth, a director, and other company geologists are going through data on the PV property and reviewing geochem anomalies that have never been followed up. He likes the location of Westhaven’s properties, too. As he tells it, he can make the two-and-a-half-hour drive from his West Vancouver home to Shovelnose pausing only for a single stop sign (near the Upper Levels Highway). The PV project is also road-accessible, about a three-quarter-hour drive from Merritt along forestry roads. He leaves soon on a two-week trip to Mongolia, but it’s not work-related. Thomas is going as part of an excursion organized annually by the University of B.C.’s Society of Economic Geologists. On the agenda are visits to Oyu Tolgoi and other mines, monasteries and other cultural experiences. Author owns shares of North Arrow Minerals.